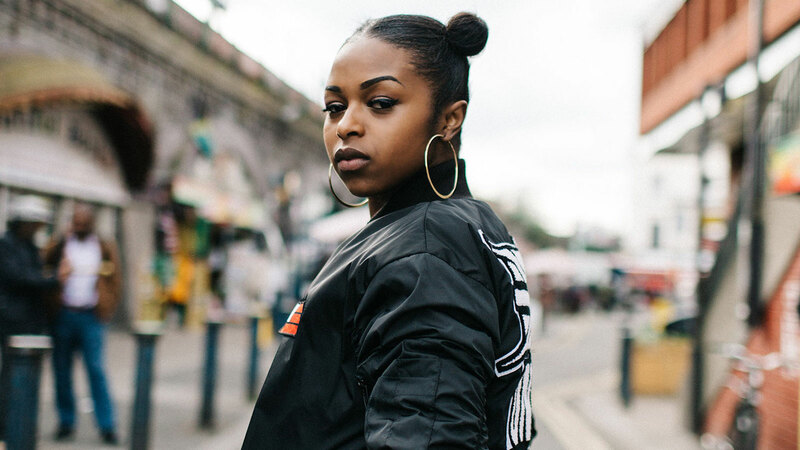 It was the 4th quarter of 2015 when the 23 year old, UK rap starlet, Nadia Rose dropped her 2nd underground viral hit ‘D.F.W.T‘ after already having had a first with the track ‘Station‘. The single that’s been heard on every UK based urban radio station across the nation was shortly followed by Nadia’s third track ‘BOOM‘, which has been a regular feature on BBC Radio 1’s “INMWT” (In Music We Trust) playlist. Since then the records received rave reviews & regular airplay from popular DJ’s Semtex, Mista Jam & Annie Mac. The video regularly plays on popular music channels such as KISS. Since becoming Sony Music Group‘s latest signee, (under the subsidiary Relentless Records), it’s needless to say that Nadia Rose is fast becoming a force to be reckoned with within the UK music scene. With a string of sold-out live performances under her belt performing alongside acts such as Section Boyz, Anderson & Paak, major brand endorsements from Adidas, G-Star, Beats by Dre, DKNY and a co-sign from R&B Superstar Alicia Keys, Nadia is clearly raising the bar for female rappers in a scene typically dominated by men. Opening for rap-legend Busta Rhymes, playing at every major UK music festival and event this year including 4 stages at Glastonbury, Main-Stage at Wireless, Love saves the day, Born & Bred, The Great Escape, Reading & Leeds festivals, Boomtown 2016 & making special appearances on BBC 1xtra with DJ semtex as well as featuring on the Toddla T produced viral hit remix “Big’n’Serious” alongside AJ Tracey & Coco, the title of that hit remix clearly states the impact Nadia is currently having in the urban UK scene. She’s in high demand.